In Sunday's episode (April 29, 2012) of The Simpsons, they go on a cruise, but thanks to the cruise director's song, Bart realizes that his cruise is going to come to an end, and from there, after experiencing all a cruise has to offer, his life is going to be all downhill from there. (As we all know, that's only true until our next cruise.) But Bart plots to keep his cruise going forever. In the clip below, cruise director Rowan Priddis, voiced by British comedian Steve Coogan, sings "Enjoy It While You Can" (an original song for the show), and Bart suddenly makes his horrifying realization that it's all going end. This is another chance to take a look back in the cruise industry of yesteryear, courtesy of our friends at CruiseGeek. This 8mm movie was shot aboard Swedish American Line's SS Kungsholm sometime between 1939 and 1941 and gives us a peek into what was then the good life cruising to the popular island destination of Cuba. Here is the latest video that allows you to "walk through" the new Royal Princess, currently under construction at Fincantieri in Italy for delivery in June 2013. In this video you'll see some of the ship's new entertainment venues, including a new television studio which, through its flexibility, will create a new type of venue for various types of entertainment, even if they aren't being broadcast. There are also innovations seen in the Princess Theater and the aft Vista Lounge. 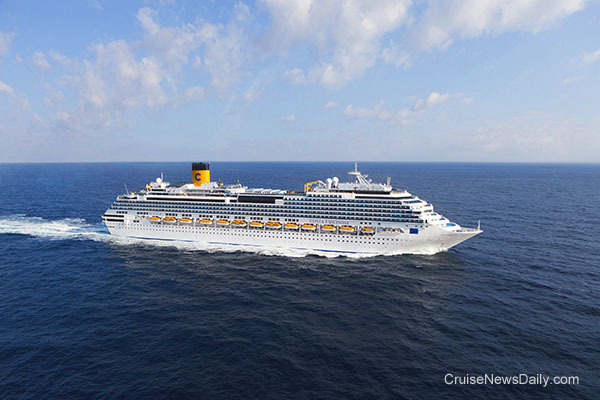 Fincantieri will deliver the 114,500-ton Costa Fascinosa to Costa on May 5 at Venice. The ship has completed sea trials and is now in the final fitting out process. Costa Fascinosa represents an investment of 510 million euros by Carnival Corp. The ship was built by Fincantieri at their Marghera yard and utilized the services of some 500 Italian suppliers and 10,000 workers. 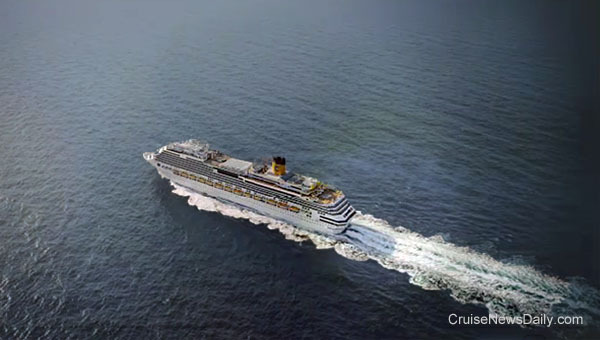 Costa's next ship will be a 132,500-ton vessel also built by Fincantieri for delivery in October 2014. When delivered, the as-yet-unnamed ship will be the largest vessel flying the Italian flag.